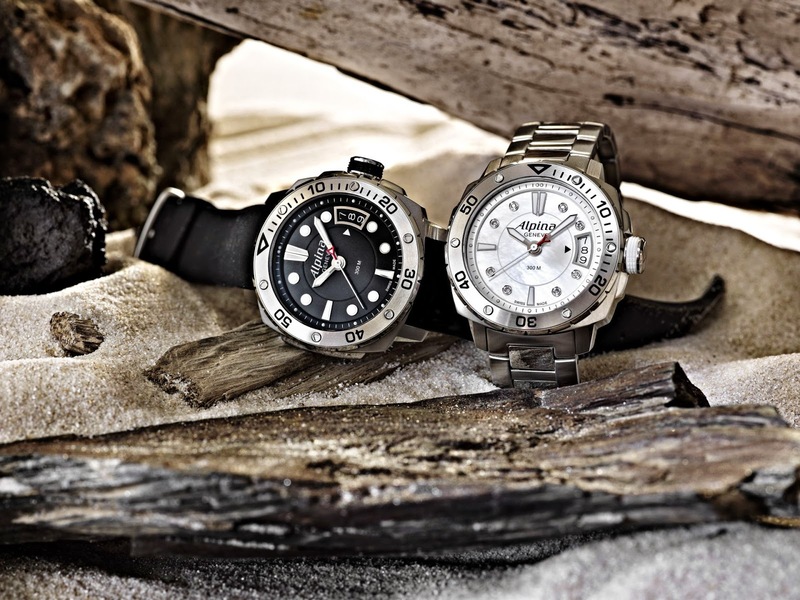 The Alpina Diver Midsize Collection is designed for those who love to explore the ocean depths and these timepieces can handle the stringent demands of even experienced divers. Crafted in strong 38mm stainless steel case and with a remarkable water resistance of 1000 feet, the new Alpina Diver Midsize Collection is ready for the dare devil actions underneath the ocean. 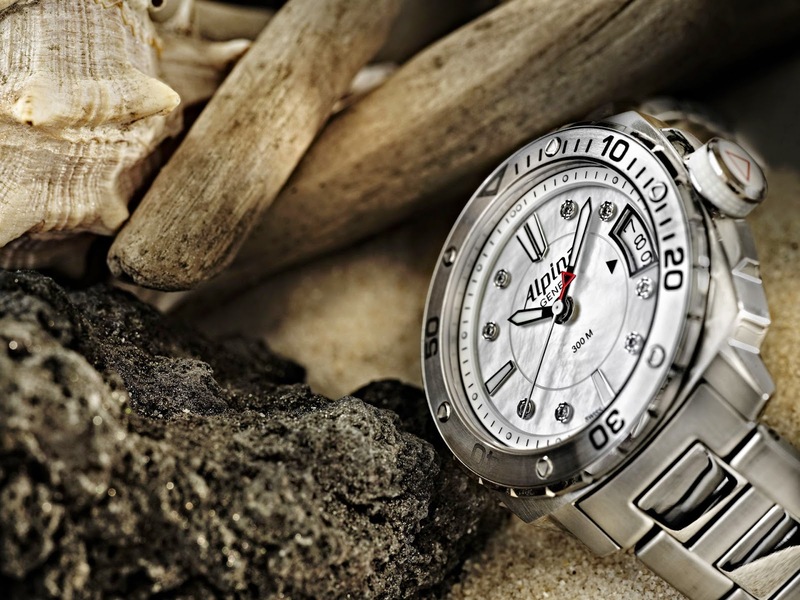 The new Alpina Diver Midsize Collection is presented in two models. For ladies,there is a stunning Mother of Pearl white face, surrounded by eight sparkling diamonds. Large white, luminous indices are placed at the 12 o’clock, 6 o’clock and 9 o’clock positions, while an extra-large date window is located in the 3 o’clock position. Alpina’s signature red triangle is proudly featured at the base of the silver second hand, while the hour and minute hands are luminous white with a silver surround. Ladies can choose between two attractive and functional straps. 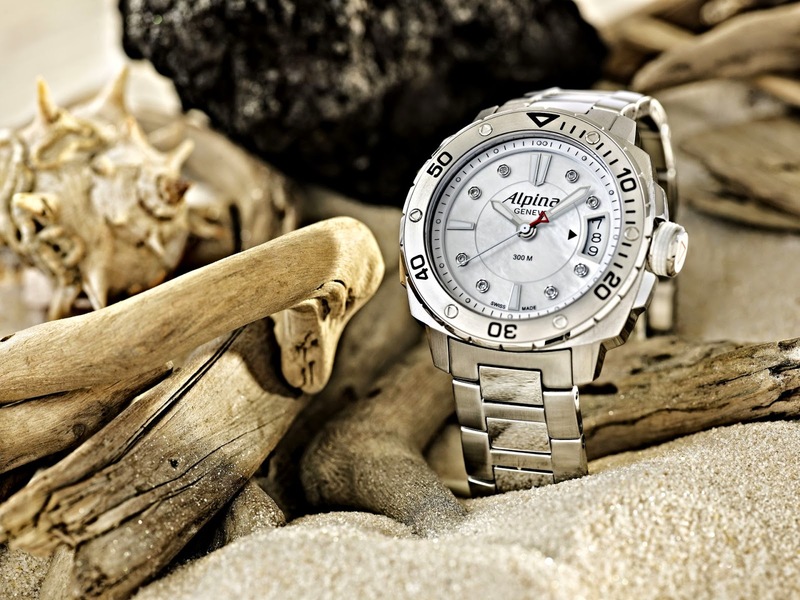 With constant attention to a diver’s needs, the Alpina Diver Midsize white model comes with either a white rubber strap that can be adjusted to fit over the arm of a wetsuit, or the watch can be fitted with a stainless steel metal bracelet. The second model in the Alpina Diver Midsize range will certainly appeal to both men and women.The striking black dial is set inside a shining stainless steel case. Luminous white indices stand out from the black dial, and again, the extra-large date window is featured at the 3 o’clock location. 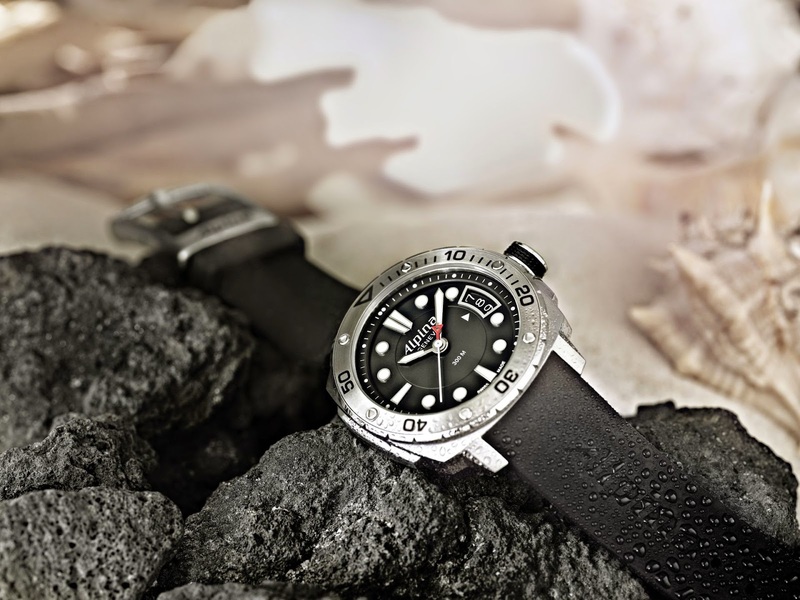 Those opting for the black dial version of the Diver Midsize also have the choice of two straps. They can select the stainless steel version, or a black rubber strap.